We often hear how Division III athletes compete solely for the love of the game and are treated just like every other student. But in the Division III environment today, there tends to be an increase in the number of sacrifices student-athletes are expected to make for the sake of their sport. The NCAA’s 48-hour rule says athletes are prohibited from consuming alcohol 48 hours before a game and 24 hours before a practice. 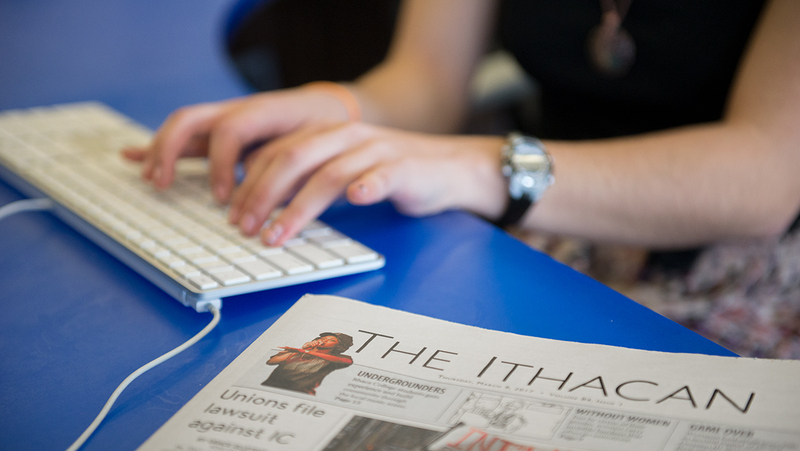 The rule acts as an inhibitor of sorts for student-athletes, especially for Division III schools such as Ithaca College. The problem I have with the rule is that it seems to undermine the concept of personal responsibility. While most teams have specific drinking policies for their athletes, almost everybody realizes that alcohol doesn’t provide any benefits to athletic performance. Aside from the fact it’s difficult to enforce, I believe the existence of this rule demonstrates some inherent distrust in student-athletes making these decisions on their own. Still, the question is what kind of balance is there in terms of individual commitment between being a college student and a college athlete? If the college and its athletic department want to emphasize that the student comes before the athlete, then you have to start by treating them with expectations comparable to regular students. I understand that alcohol is not a necessity, but colleges cannot deny that the national average of students who consume alcohol is about 80 percent. And since Division III athletes have no financial incentive to play varsity sports and are highly unlikely to compete at the next level, you can bet most will seek an outside social life, which often involves consuming alcohol. Talk to almost any of the student-athletes on campus, and I’ll bet they’d tell you they don’t use their sport as a reason to completely cut off their alcohol consumption, at least during the offseason. The desire to “go out” and socialize wins out almost every time. Also most varsity teams hold practice or compete up to six times per week, so basically that rules out every day except one where athletes can completely follow this policy and still drink. For teams that usually compete only on the weekends like swimming and diving or track and field, typically the only night a student-athlete of age could abide by this rule is to drink Saturday night after a competition — when the body needs to recover the most. Every collegiate student-athlete is an adult and must be treated as such. Part of individual responsibility is accepting the results of the decisions you make. At the same time, if you never make any mistakes, how can you truly appreciate success and learn how to fail? This rule affirms that there are still institutions even at the Division III level that give their athletes different rules and expectations than everybody else on campus. In the end, too many people forget what it was like to be young, and even if a team has a chance to be successful, it’s really the social memories that matter in the end.